Are you in need of some creamy, cheesy, comfort food? 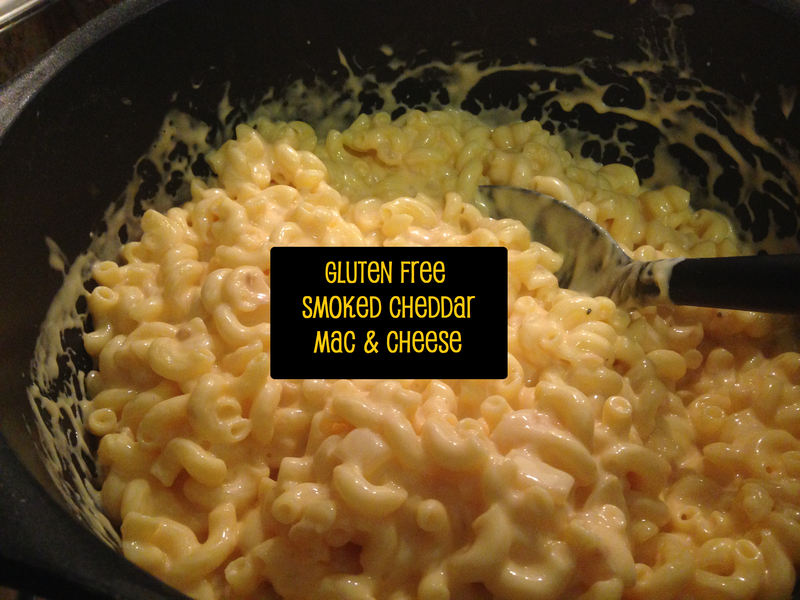 I was this weekend, so I made my macaroni and cheese go to recipe, with a little twist. Mac & Cheese brings me back to childhood. Memories of the blue boxed Kraft mac & cheese remind me of being home. While I can’t have that pantry staple anymore, the homemade version is way better anyway. These next few weeks are going to be especially crazy, so I treated myself to some homemade comfort food. 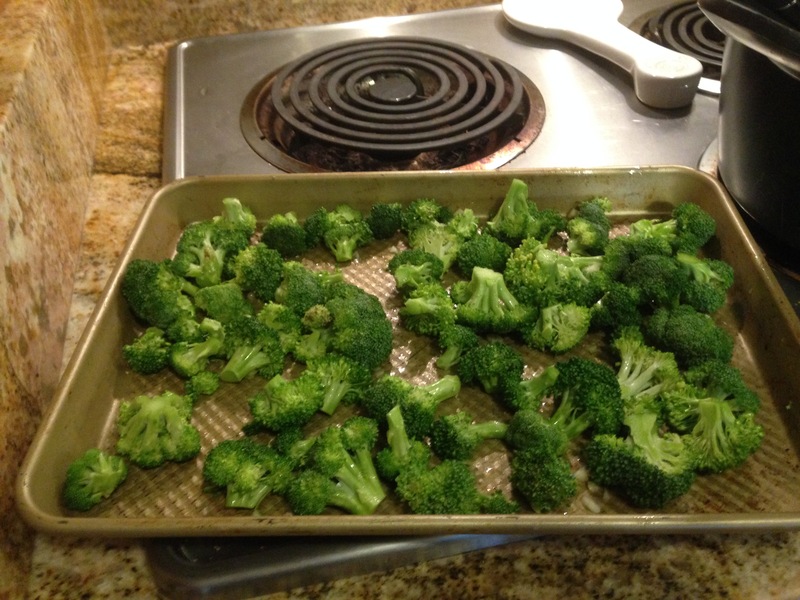 To make the meal a bit healthier, I roasted some broccoli on the side. 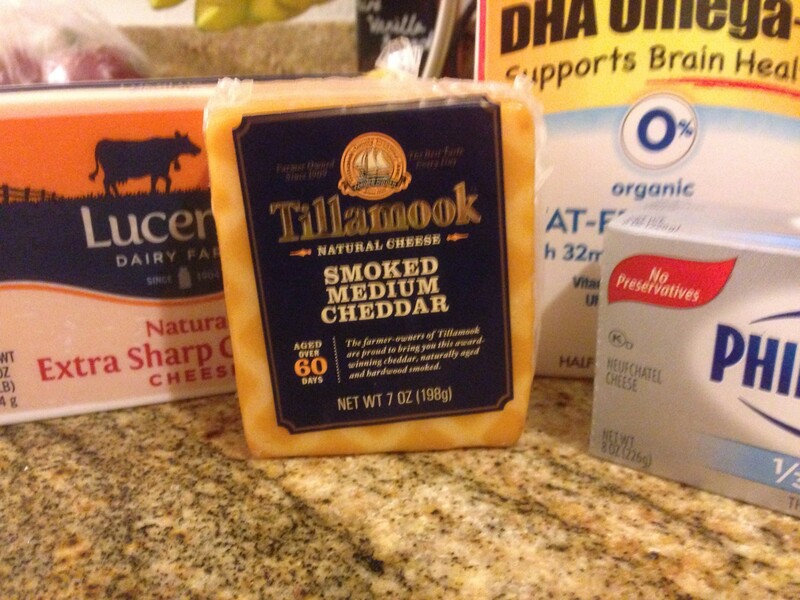 For the smoked cheddar mac & cheese I tried to use as many low-fat options as possible.Yes, it’s mac & cheese, but it doesn’t need to be super unhealthy. I use fat free milk, 2% extra sharp cheddar cheese, smoked cheddar, and the secret ingredient to make it super creamy; low fat cream cheese! 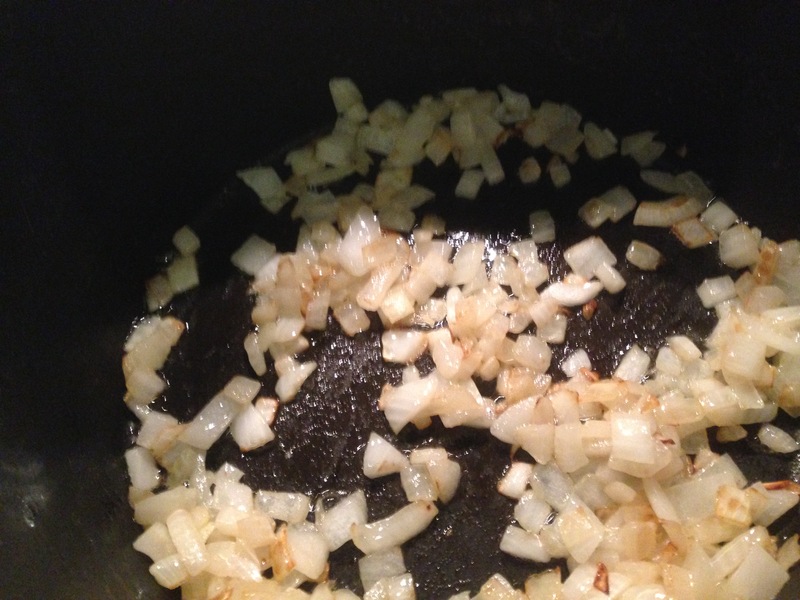 I also add sweet onions in the base of the sauce. 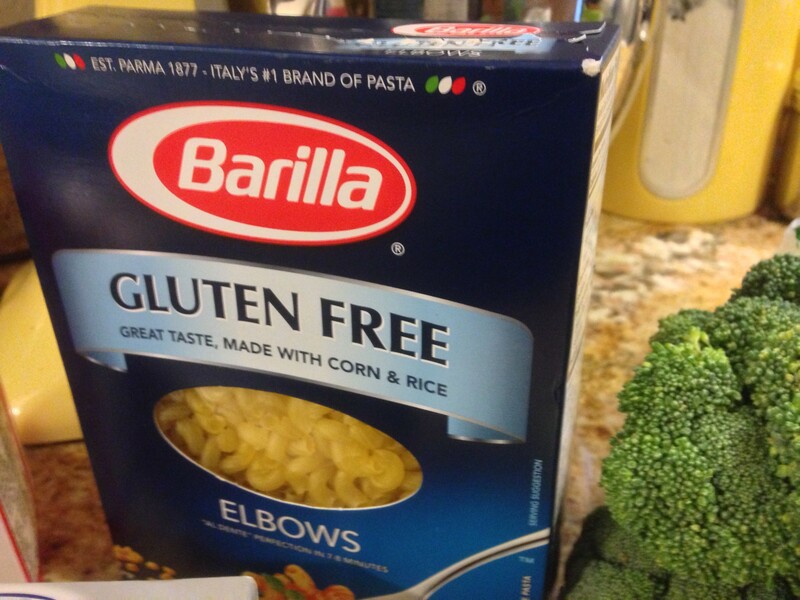 For taste and texture, my favorite gluten free pasta right now is Barilla. The elbows work perfectly for mac & cheese! 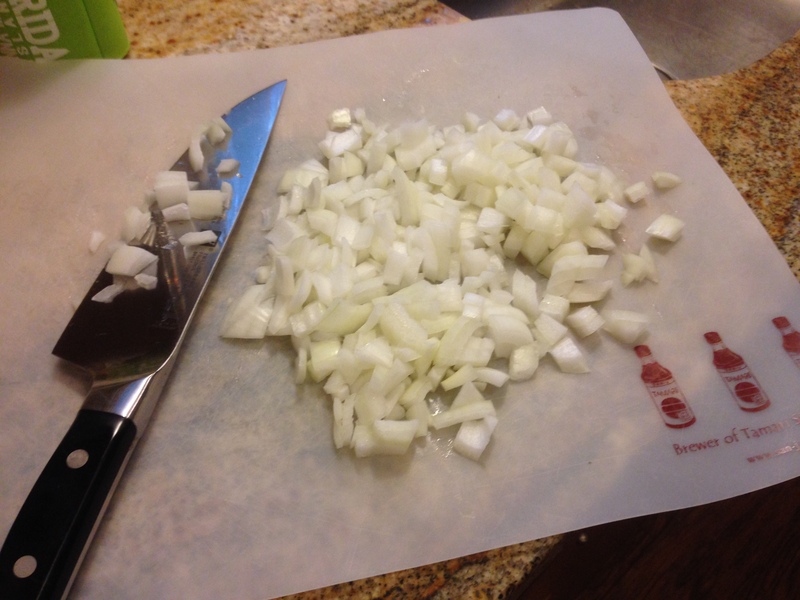 To start your sauce, finely dice half a sweet onion (like a vidalia), and saute it in two tablespoons of butter until slightly caramelized. 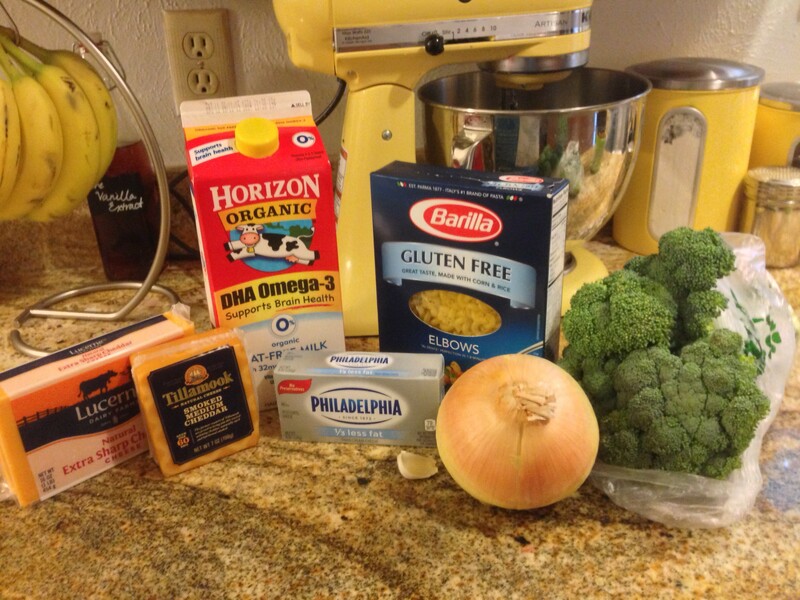 While your onions are cooking, boil some water for your pasta and get your broccoli cooking. I toss chopped broccoli with one clove of garlic, finely chopped, and 1 tablespoon of olive oil. Cook in a 400 degree oven for about 30 minutes. Now grate up your cheese. 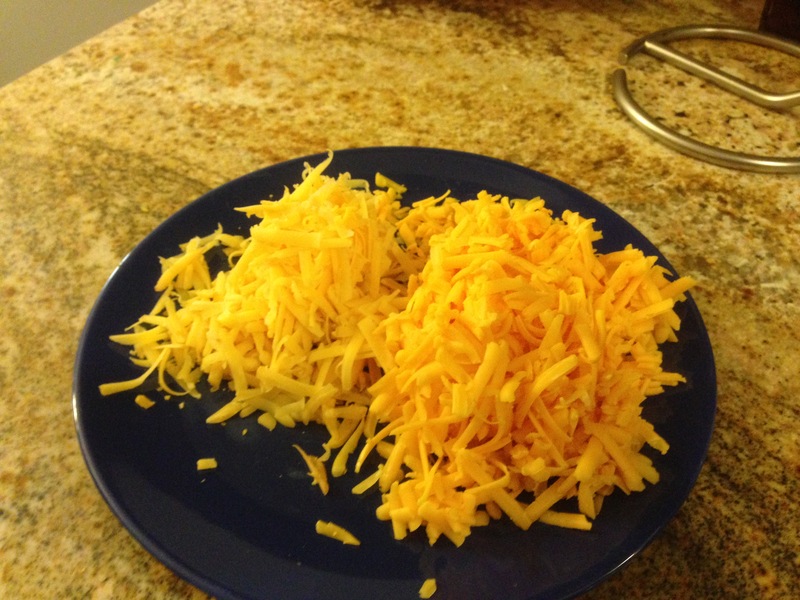 You need about 1 cup of the smokey cheddar and about 2 cups of the regular extra sharp. Time to make the roux! Melt one additional tablespoon of butter into the pot, then add in two tablespoons of your favorite gluten free all purpose flour. I use GF Jules. 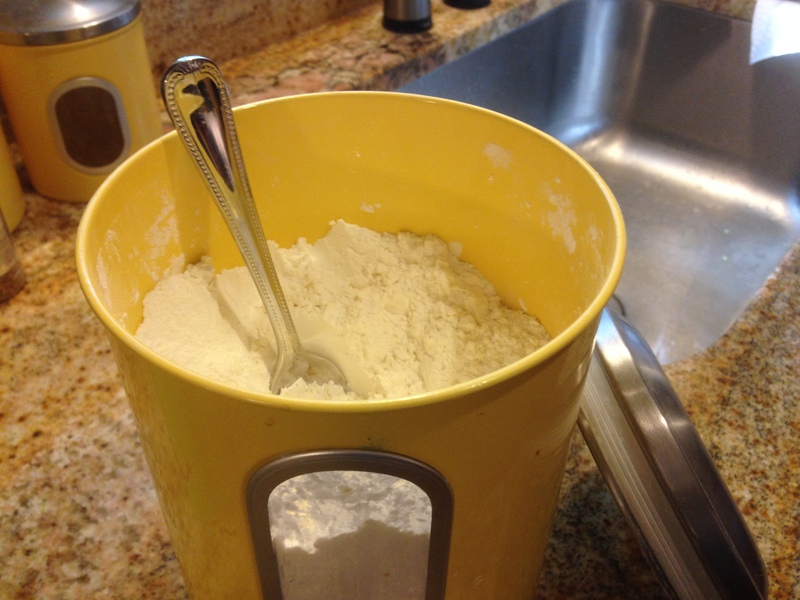 Mix the flour in really well and let it cook for about 30 seconds to a minutes to get out the raw flour taste. Then add in about 2 cups of the fat free milk and stir until thickened and starting to bubble. Season your sauce well with salt and pepper, and mix in about 5 tablespoons of the low fat cream cheese until smooth and melted. Mix in your cheese, and once completely melted, add in your drained pasta. Add flour to butter and mix well. Let it cook for 30-45 more seconds. Mix in cream cheese until smooth. Serve with broccoli and enjoy! 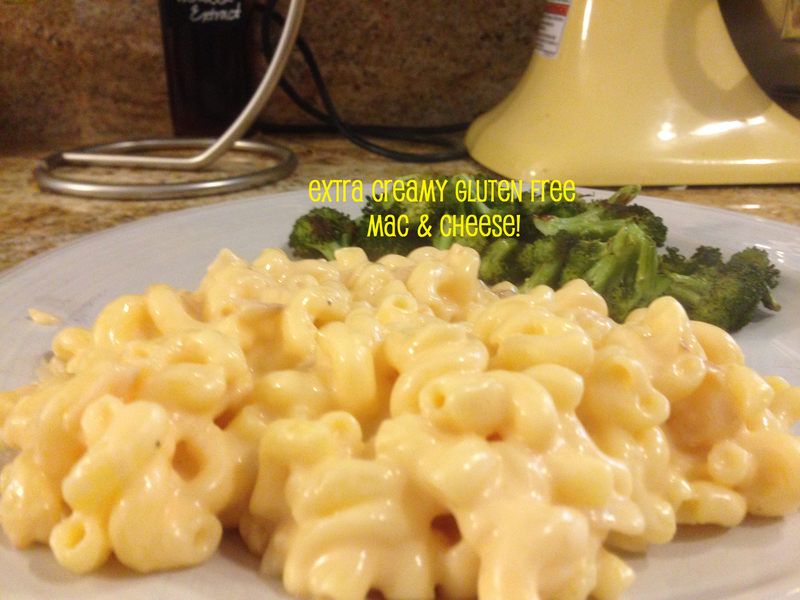 The end result is a SUPER creamy stove top mac & cheese! Serve with the roasted broccoli or a side salad, and plan for a nice long run tomorrow =). Looks like something I must try. Definitely! It’s so worth the calories =). Thanks for following!